Oculus Airborne Sensoring uses the HEF 32 UAV for applications which improves the safety of people of several states in Mexico. The VTOL RPAS is a perfect system to fight crime, mainly for anti-kidnapping situations, drugs trafficking and to identify persons carrying weapons. To provide a servicing solution for clients, Oculus also set up local after-sales offices throughout the region. “With infrared (IR) sensors our clients are even able to fly their missions during night time. Another advantage is that the UAV can be operated in very different weather conditions, so it can be used almost any time. We are fully convinced that other clients will use the HEF 32 UAV for border patrols to prevent trafficking of people and smuggling of drugs, which is a great problem in Mexico. 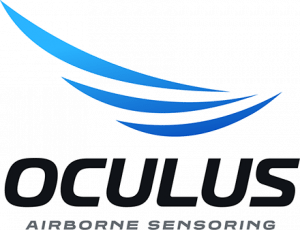 We see other possibilities in the commercial and maritime sectors as well, such as inspection of pipelines and to locate tuna fish on board of large fishing vessels” Sebastian Zepeda García, CEO of Oculus Airborne Sensoring says. The small footprint of the system creates unprecedented mobility. The HEF32’s transportation box contains everything that is needed to operate the system from remote locations. Using pick-up off-road vehicles, the UAS is transported to take-off locations close to areas of interest, which would otherwise be impossible to reach and would significantly complicate mission execution.